My stepfather Paul is a man of very few words. Those that do become audible, however, are precious and jewel-like, crafted (appropriately) with an engineer's precision. Most of them are life lessons, which I find particularly insufferable, yet I find myself quoting them at the most random and strangely appropriate moments. "Cheap shoes are never a bargain." "Razor-thin mark-up never built a fancy store." "He makes a really good sausage." 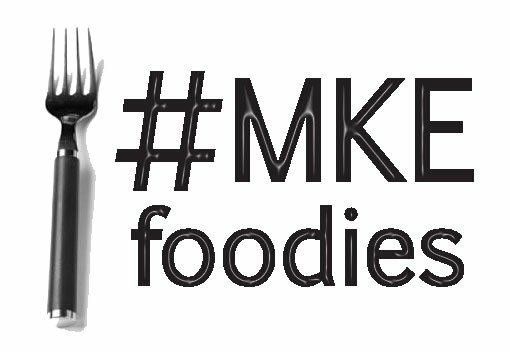 The last one, of course, refers to Frank Jakubczak, a genuine Milwaukee Treasure, a sausage genius, and all-around person you really should become acquainted with. You see, Frank makes the best sausage in the city. To some, sausage is those machine-formed rods, greased and fried and slathered with imitation maple syrup in the mornings. Others, it's Johnsonville or Klement's or even Usinger's on the grille or maybe poached in beer in onions or maybe pan-fried. But for some, those world-weary culinary travelers, those never satisfied by "good enough," there is the European Homemade Sausage Shop, deep in the heart of what used to be one of the nation's largest immigrant Polish neighborhoods, second only to Chicago. Frank doesn't mess around when it comes to his sausage. He doesn't do anything avant-garde: you will find no chicken-blueberrry-gruyere-sage brats here. Nor will you see stacks of styrofoam packaged meats from days previous: Frank does sell frozen product for those from out of town, but the vast majority is fresh, displayed in the single and prominent cooler case in the tiny storefront. There may be a dozen or so varieties, each one in limited quantities daily. I've never stopped in only to find out my favorites were sold out for the day -- still, the scarcity adds a little bit of thrill. Are there going to be any Slovenians left today? How about fresh Polish? Maybe there's just two pounds left... just enough! Perhaps the biggest boon to small quantities is you are always guaranteed that the sausage you buy is the freshest, tastiest, and safest possible: it has happened that the sausage I bought came out of the grinder mere hours before I was grilling it. I was introduced to Frank's meat treats a few years back, during one of the annual Brzezinski Family Holiday Fiascos, which I blogged about at the time because I really had nothing new to report. Paul had sliced up some Krakowska, at which point I thought I had actually had some sort of a seizure. I begged Paul with the insistence of someone staring down the secret to life, the universe, everthing... where did this insanely delicious sausage come from? "Oh, it's this little place down on Muskego, the guy's pretty famous. He's been making sausage for years. Really unusual stuff." This was one of the longer uninterrupted moments of speech I had heard from Paul that evening. So, what makes the European Homemade Sausage Shop so unique? I mean, with all of the sausage in this city (Hrrmm...), why does Frank's stand out? Well, for starters, Frank uses only exceptional cuts of meat. Lean when its supposed to be, fatty when it needs to be, but not an ounce of filler, a drop of artificial flavor, or a scrap of gristle, tendon, or cartilage. He uses spices from a variety of vendors, each one picked after years of experience. The cuts of meat are sourced from within the midwest, some even more locally when possible/practical. Meat is chopped and ground, spices are blended, and sausage is stuffed and smoked in Frank's modest kitchen: nothing is outsourced or obtained from a third party. And, let's face it: Frank is really, really serious about what he does. He moves in the kitchen with a steadiness and determination of someone entrenched in their craft. His hands and eyes are never idle, his stance solid, focused. Frank is a man on a mission: he is uncompromising and relentless in his quest to create an exceptional product. And every bit of meat that passes over his scale shows this fiery passion: every last item on Frank's menu is without peer. People know this passion, and are fiercely loyal to it -- sometimes, loyal to the point of obsession. Frank retired once: closed the store, shuttered the smoke house, and packed up the various European groceries that grace the marble counters. Milwaukee threw a fit, like a baby. A hungry, angry baby. And that collective temper tantrum worked: Frank re-opened, and the sausage insanity continues to this day, albeit on a slightly more limited schedule: Thursday through Saturday, 8 am to 4 pm. On the Saturday I dropped in, I had the privilege of talking with Frank's daughter, Mary. "Frank's on Holiday," she said, maybe a little relieved he was taking some leisure time. "So we're running a bit low on some things." Luckily, I still snagged a few pounds of fresh Polish, which I de-cased and made into Polish sliders on Miller Bakery pretzel rolls for a recent appetizer bash. Along with the Polish, I stocked up on my usual multiple pounds of Slovenians, and a pound of Frank's home-cured and smoked bacon. "The bacon is pretty awesome," a co-worker of mine recently told me. The understatement of the century. Mary was overly kind, offering to take me back in the "inner sanctum" of the kitchen, exploring the smoker, the coolers, walking along rows of hanging sausages so perfect that they almost seemed like movie props. You can tell by the inflection she uses when she speaks of the business that she's rightfully proud of it, but exceedingly careful that her father's brand doesn't become diluted. I asked her if she was looking to get into any restaurants in the city, and she responded that they were indeed, but doing so selectively to make sure they find the best fit for the product. This is, after all, the best sausage in Milwaukee. I keep using superlatives in this post, and I imagine that they may lose a little of their wallop eventually, but I don't really know how to convey how much I actually love Frank's creations. I have never, in my whole entire Polish/German food-grab-bag life, eating sausages with so much flavor, so perfect grind and texture, and such freshness. 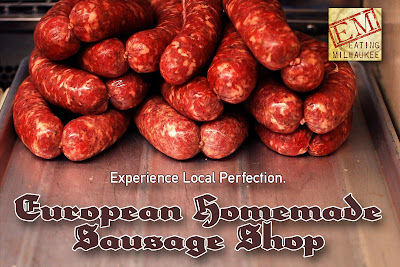 There simply does not exist anything like the European Homemade Sausage Shop in this city: Usinger's, for all of their variety, can't hold a candle to Frank's core of a few authentic recipes, made without compromise, and made fresh. Here, stalwart traditional blood and tongue sausage mingle with spicy smokey Polish Delights (a Brzezinski family tradition on Easter). Sweet and Hot Italians, Slovenians, and scorching hot Hungarians waft their fragrance of exotic and long-lost spices from behind the glass cooler. Cold cuts -- maybe liverwurst or Franks own smoked ham or my personal favorite -- Krakowska -- are always sliced when a customer orders them. Sausages are still linked together -- buy three pounds of Hungarians, and you'll receive them in one continuous strand. Certain varieties are available both fresh and smoked -- a fresh Slovenian is worlds different than a smoked, and the contrast can be exciting. Some sausage, if you're in the right place at the right time, can be had fresh, smoked, or smoked and dried -- offering an entire world of different flavors and textures. No amount of praise I can heap on Frank and his family can ever really explain not only the European Homemade Sausage Shop, but also the ideals it represents: Frank came to the US not intending to be a Master Sausage Maker, but fell in love with the craft, and has pursued it with almost a religious fervour. 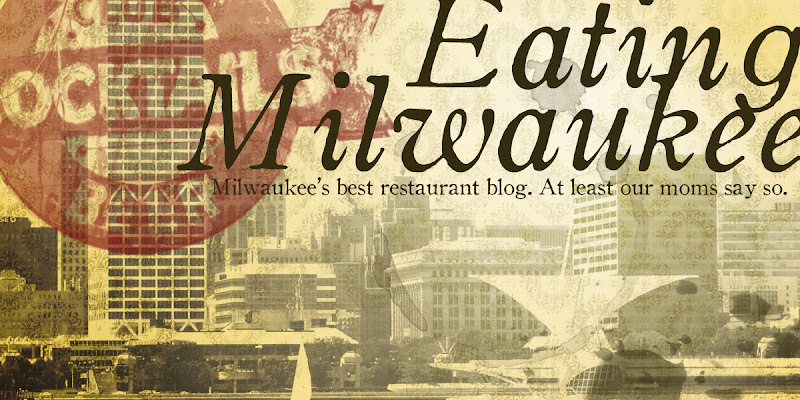 His desire to continue the tradition of the food of his homeland is the same desire that drives so many Milwaukeeans to not just buy his wares, but become zealous devotees. Frank's cultural heritage is so similar to that of so many in this city, myself included. Part of the way we connect with that heritage is through food, and in Frank's case, authentic, delicious food. My childhood memories are dotted with Polish Christmas Wafers, creamed herring, paper-thin German Butterplätzchen with dabs of egg and crushed nuts, Rouladen, spätzle, and the pungent fumes of Grandma B's hot bacon dressing over wilted baby spinach. Frank's sausage is a piece to that puzzle, a non-specific sense memory of How Things Used To Be, and I find immense comfort in that. My heart grows a little sad thinking that life has changed so drastically, and that so many of us have lost touch with that which makes us unique, what has served as our families' foundations for so long: our food. I want to see the European Homemade Sausage Shop thrive. I want people all over this state, er, this country, to know what amazing artisanal meat products this little shop cranks out, here on Muskego Avenue, in the middle of what has become the epicenter of Milwaukee's Hispanic population. Still, Frank makes every sausage with the care and craft that makes eating them such a transcendent experience, even after decades of business. Mary and her brother Andy have a vision for the shop, to be sure, and I'm excited for them -- I know in my heart (and stomach) that the European Homemade Sausage Shop will continue delighting customers for a long, long time to come. And I will continue to buy my Slovenians, like clockwork -- because I am a complete and utter slave to the sausage! Andy let me know that the Shop will be launching a new website in the next few weeks, however, the current site is a great resource in the mean time. I totally agree with you. There is no other place in the City of in the the State, for that matter, that is as good at this craft. Frank's place is extraordinary in every way. In a city known for its sausage, there are good sausage makers, some very good sausage makers, and then there is Frank, who's wares set the bar for all to aspire to achieve. Not only the cuts of meat and the spices, but the subtle undertones of flavor, one of those things you scratch your head, trying to figure out just what that little hint of whatever it is that sets his sausages above the rest. Frank's sausages, some good Polish sauerkraut, and a Weissbier, if it gets better than this, I don't know how!